of Railroad Crossings, Sidings, and Access Roads. in every state and province throughout North America. QPR is North America’s leading provider of Infrastructure Solutions. With a variety of construction materials and engineered tools that are DOT approved in all 50 states and throughout Canada, QPR has a thirty-year reputation for premium products, and superior customer service. Our products are all backed by a 100% Performance Guarantee, and field personnel experienced in every aspect of commercial construction and repair. QPR RailWorx is specifically designed for the Railroad trades, offering permanent repair solutions for crossings, sidings, and spit yards. Our repair material is available in bags in over 1750 locations, and in bulk, throughout North America. Our equipment, tooling, and PPE solutions are engineered specifically for the railroad industry, and are second to none in providing value and safety on every work-site. 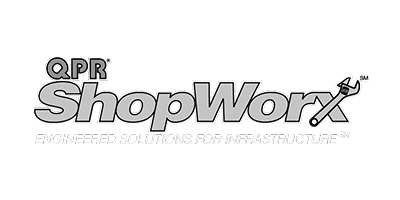 QPR RailWorx is this Industries LEADER in surface transportation solutions. For over 30 years QPR Permanent Pavement Repair has been the preferred choice of maintenance crews who are looking for an easy to install, long lasting repair. QPR is now recommended for permanent repair of railroad crossings. QPR is easier to use and more cost effective than hot mix asphalt and is designed to provide a permanent repair of railroad crossings and sidings. QPR gets as hard as hot mix asphalt and can be open to traffic immediately but still remains flexible enough to move with seasonal freeze and thaw. QPR works in all temperatures and weather conditions, as well as in water. It can be stored outdoors year round and is available in both 50lb bags and in bulk stockpiles throughout North America. The RailWorx guys just know the business. “There’s no sales pitch, no fluff. They just get it done. Boots in the dirt guys, who know my day is time scaled. “One phone call, and what I need done, is done. “Most importantly, it’s done right. Their RailWorx 3-1 compressor, welder, and pressure washer is the best piece of maintenance We’ve purchased in ten years. I called to ask where the closest pile of QPR Pavement Repair was, figuring as usual, we’d be lucky if it was half a day away. Ellen in their office was great, the pile was 40 minutes away from the job site, and the plant was waiting there for us when we got there. The best part about the crossing repair material is that it is the same in every location, and these guys got a LOT of locations. We’ve never had a call back, and their people know what it’s like to put in a days work. With their association with Lowe’s, we can source material 7 days away, all the way up until 10 o’clock. That has got to be 1000 locations, and it really makes our life easier. The Railworx PPE is the highest quality, and best value we’ve found. We have over 100 of the 5 in 1 Rain-suits, and they are a favorite in the field. Having our logo embossed on each vest and jacket separates us from the contractor or street worker as we work on our beds and sidings. The fact they emboss the logos free, and in high quality was a real plus for us. 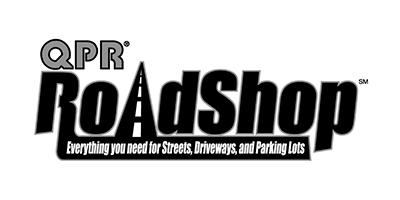 QPR High Performance Permanent Pavement Repair, when used according to directions, and applied to deteriorated concrete or bituminous pavement surfaces, is guaranteed to adhere PERMANENTLY, to the repaired area or until the surrounding pavement area fails. 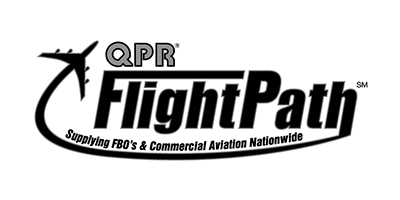 QPR will replace actual volumes of QPR used, at no charge, if, for any reason, our patch material should ever ravel, release, or otherwise fail in any properly repaired area.